Looking for other Manalapan condos? 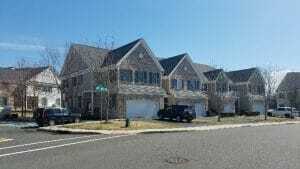 The Villages @ Meadow Creek Manalapan is a community of 300 luxury townhouses. 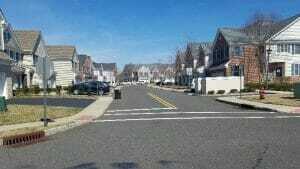 Between 2007 and 2009, these homes were built by Hovnanian. Three models are offered in Meadow Creek. The Purdue has three bedrooms, 2.5 baths, a one car garage, with 1929 sq ft. Another model, the Temple has three bedrooms, 2.5 baths a two car garage and has 2050 sq ft. The Williams has three bedrooms, 2.5 baths a two car garage and has 2155 sq ft. And some of the homes have a basement. Prices range from around $400,000 to over $500,000. Because FHA financing is approved in Meadow Creek, purchasing a home with an FHA loan is possible. However, there are other alternatives that will a;so allow you to purchase with a low down payment. If you call us at 732-598-7700 we can discuss this further. Amenities in Meadow Creek Manalapan include an outdoor swimming pool, kiddie pool, basketball court, tennis and a community clubhouse. Meadow Creek’s homeowners association assesses a monthly fee. The fee includes lawn maintenance, snow removal, use of the common areas and exterior maintenance of the buildings. School age children from Meadow Creek who are in grades kindergarten through eighth will attend schools in the Manalapan Englishtown Regional School District. 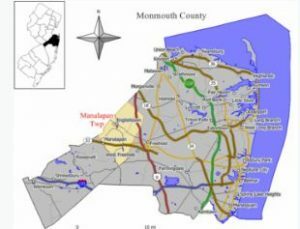 When students are ready to attend high school they will attend Manalapan High School, which is part of the Freehold Regional High School District. Students in high school also have the opportunity to attend one of the magnet schools in the Freehold Regional High School District. Each of the six high schools offers a unique course of studies for motivated and talented students. However, there is a competitive admission process to get into these schools. Another option when students enter high school is that they may also apply to one of the five high schools in the Monmouth County Vocational School District. Specialized courses are available in fields such as computer science, and biotechnology. Also courses in the medical and science fields are available, among others.